If time is your reason for not cooking fresh quality real food then you need recipes that you can throw together in around 5 min. 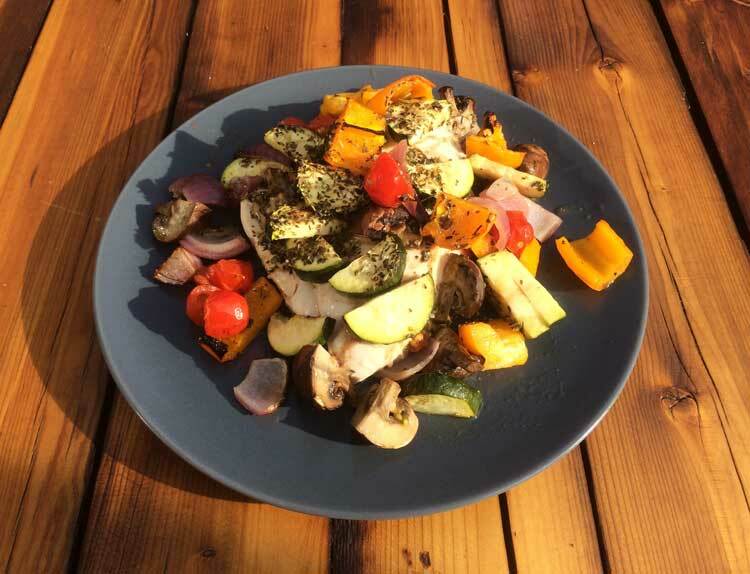 This chicken dish is a prime example of a fully nutritious meal that can be prepped in about the same time it takes you to get the ready meal out of the freezer. Then whilst its cooking you can get back to your blog or whatever it is that making you so busy. Place the chicken breasts in a pan and then just chop all the veg and put it all over the chicken. Then sprinkle the herbs and drizzle olive oil and balsamic vinegar over the lot. Throw it in the oven for around 40mins on gas mark 5, 190°C or 375°F. Know of any more quick and easy to prepare meals? Get involved, please let us know what you think in the comments below.